With Creone’s value boxes, you gain a full overview of who has access to and uses company cars, GPS, projectors or sensitive documents. We don’t only make sure that your keys are managed securely. With our storage solutions for offices you are always in full control of confidential and valuable documents and expensive equipment. 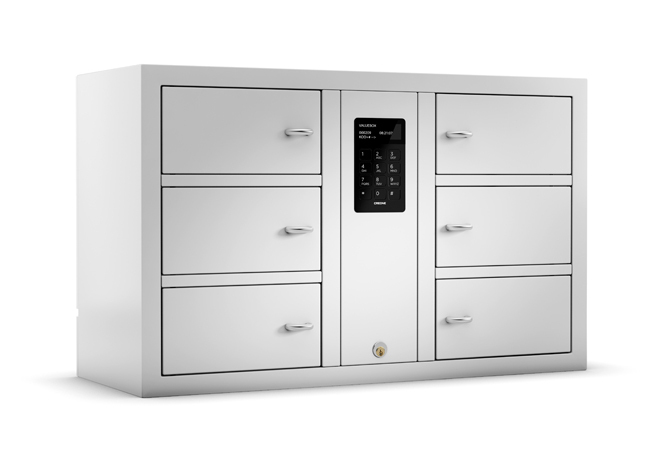 Store in separate compartments with individual access and security levels. Unbeatable flexibility with safe and secure storage. Storage cabinet in the Basic series with 5 storage compartments.